 The idea of Ker & Downey was conceived during a chance meeting between two soldiers in Ethiopia’s capital Addis Ababa in 1941. Donald Ker and Syd Downey, well-known big game hunters, agreed that when the war was over they would create the best safari company in the world. Five years passed before they achieved their goal and won their first assignment – a safari for United Artists to film Ernest Hemingway’s book, The Macomber Affair. Starring Gregory Peck, it was the first of Ker & Downey’s film safaris, a proud heritage that continues to this day. At Ker & Downey we have been refining the craft of leading safaris for 65 years and we haven’t finished yet. We design our own tents, modify our own trucks and safari vehicles and maintain everything at our Nairobi headquarters. Our crew members – some of whom are third generation camp staff – are essential to the safari experience, providing unobtrusive, skilled and attentive service. We tailor each camp to specific people so that everything suits you, our guests. We handle all the logistics, ensuring that there are hot showers when you want them and cold drinks when you need them. When guests stay in a Ker & Downey camp they can rest assured that they have the best of everything. Falling asleep to the sounds of the bush in one of our palatial canvas tents, you will feel safe, comfortable and at one with nature.